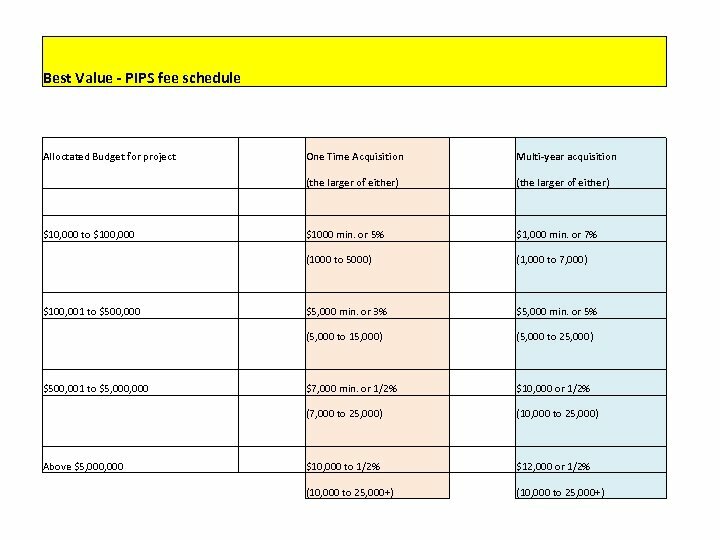 Are there been costs associated with PIPS utilization? 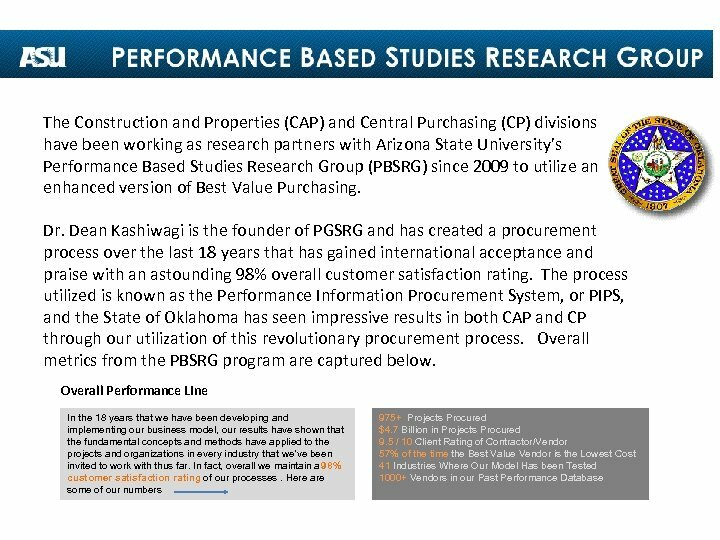 Both CAP and CP, as research partners with PBSRG, have for the last 3 years taken responsible for all licensing fees associated with the PIPS process. 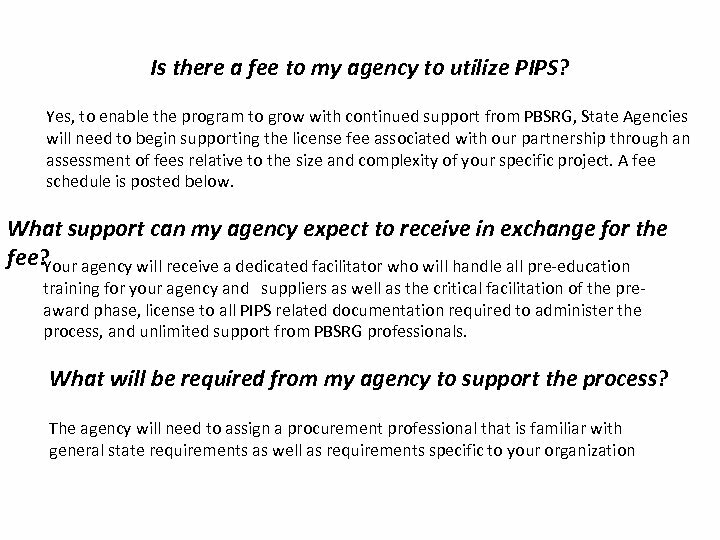 Our license provides for on-site support from PBSRG representatives, access and utilization of a multitude of documents necessary to facilitate the process, and for seats at the annual certification conference. Relative to results received by the State thus far, the fees are very reasonable. Relative to Oklahoma related savings, fees have been just over 1%. 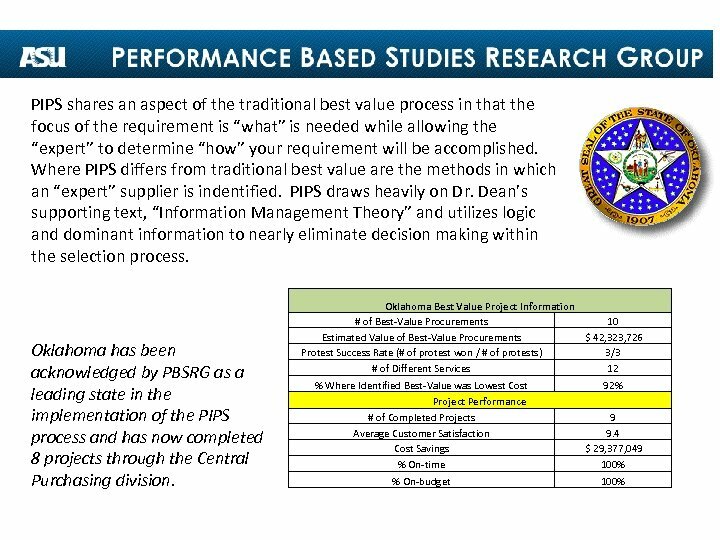 Most of the resulting savings have be for the benefit on State agencies and have not been utilized to off-set licensing fees. 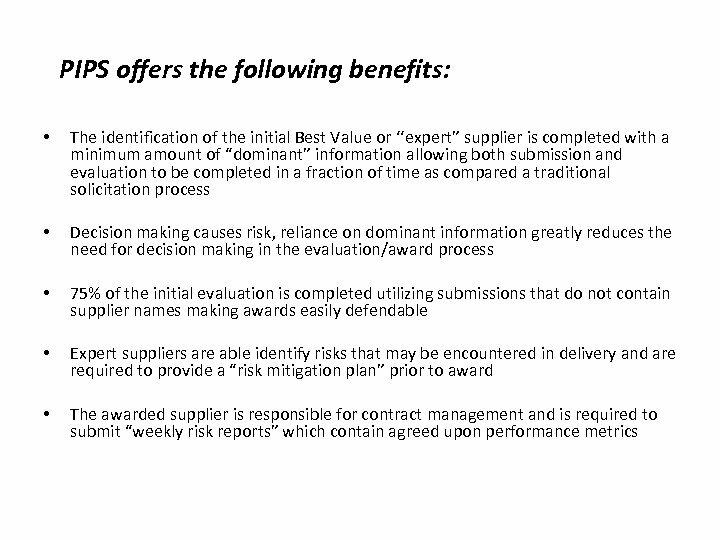 How does my agency take advantage of and utilize the PIPS process? 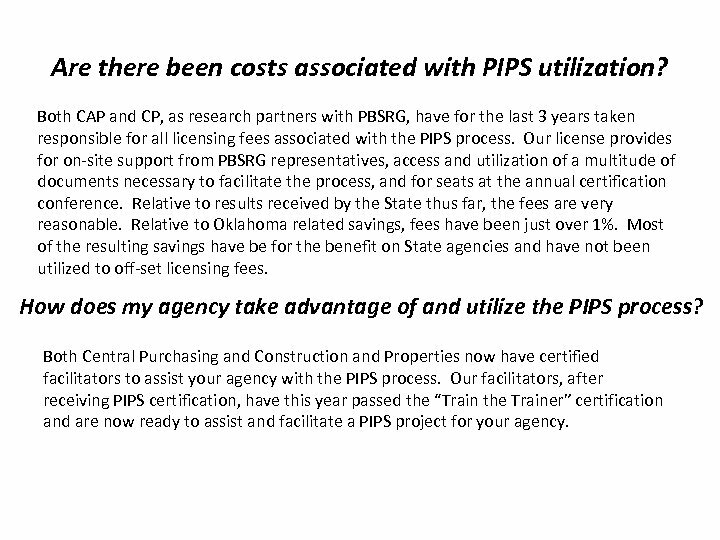 Both Central Purchasing and Construction and Properties now have certified facilitators to assist your agency with the PIPS process. Our facilitators, after receiving PIPS certification, have this year passed the “Train the Trainer” certification and are now ready to assist and facilitate a PIPS project for your agency.